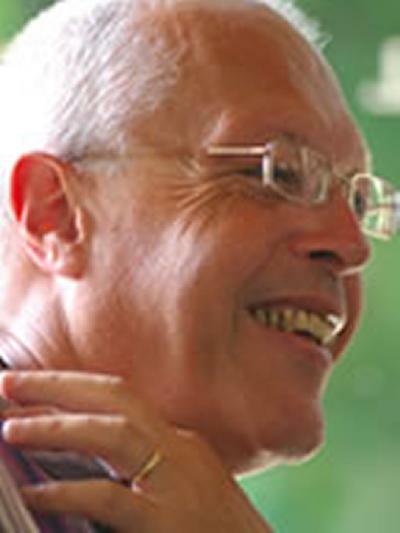 Professor Michael Finnissy is a Professor of Composition in Music at the University of Southampton. Having previously taught at the Royal Academy of Music (London) the universities of Sussex and Leuven (Belgium), I was appointed Professor and Chair of Composition at Southampton in 1999. I now mainly teach postgraduates (MMus and PhD). As composer and occasional pianist, I continue to travel internationally, representing not only my own work, but also the interests of the university, and progressive contemporary music in general. I served as President of the International Society for Contemporary Music (ISCM) for six years, and am now an Honorary Member of the Society (the only other British composer since Vaughn Williams). I have given more than 500 first performances across a spectrum from Cage to Xenakis, as well as maintaining a strong alliance within Contemporary Music for All (COMA) and amateur choirs. I encourage the idea that composition is the thoughtful, meaningful and inspired bringing together of things; an assemblage selected from diverse traditions going back more than 900 years; and that we can usefully discuss the craft and aesthetic history of this as both and individual and unprejudiced collective practice. Finnissy, M. (Composer), Exaudi Vocal Ensemble (Performer), Weeks, J. (Conductor), Takahashi, M. (Producer), Winter, S. (Producer), Fludd, R. (Other), ... Winter & Winter (Photographer). (2018). Michael Finnissy: vocal works 1974-2015. Composition, Exaudi Vocal Ensemble. Finnissy, M. (Composer), & Mouliets, B. (Other). (2016). Andersen-Liederkreis. Composition, Berlin: Verlag Neue Musik. Finnissy, M. (Composer), & Thomas, P. (Artist). (2016). Beat generation ballads. Composition, Huddersfield Contemporary Records. Finnissy, M. (Composer), Fraser, J. (Producer), Knoop, M. (Producer), Vischer, B. (Producer), Dalucas, C. C. (Producer), Uehlinger , W. X. (Producer), ... Mouliets, B. (Other). (2016). Choralvorspiele & Andersen-Liederkreis. Composition, Hathut Records. Michael Finnissy was born in Tulse Hill, London in 1946 and studied at the Royal College of Music. He later studied in Italy with Roman Vlad. He went on to create the music department of the London School of Contemporary Dance, and has been associated as composer with many notable British dance companies. He has also been musician in residence at the Victorian College of the Arts, the City of Caulfield in Australia, and the East London Late Starters Orchestra. In 1999 he was made Professor of Composition at the University of Southampton. Michael has been featured composer at the Bath, Huddersfield, and Almeida festivals, and his works are widely performed and broadcast worldwide. Recordings are available on various labels, notably NMC and Metier; the latter has released a cycle of CDs to great critical acclaim. 2006 was Michael's 60th birthday year, and highlights included ‘The Finnissy Weekend' (a series of concerts at the BMIC ‘Cutting Edge' series), the world première of his song cycle Whitman at Huddersfield Contemporary Music Festival, and a full performance of his epic piano cycle The History of Photography in Sound. January 2008 saw the revival of his major orchestral work Red Earth by the BBC Symphony Orchestra, chosen by Judith Weir to form part of her BBC composer weekend. Michael was also featured composer at the Borealis Festival, Norway, and the Time of Music Festival in Finland in 2009. 2009 commissions included a stage work for mixed professional and amateur performers, Mankind, which received its London première at the London Festival of Contemporary Church Music in May 2009, and The Transgressive Gospel, an evening-length setting of the Passion of Christ. The première was at Wilton's Music Hall on 12 June as part of the 2009 Spitalfields Festival and broadcast in full on BBC Radio 3's Hear and Now programme in August 2009. One of Michael's most substantial works of 2010 was a commission from the New London Chamber Choir and the Huddersfield Contemporary Music Festival. The work, Gedächtnis-Hymne, was premièred by the New London Chamber Choir and the Rascher Saxophone Quartet at the November Festival in the Netherlands, and then performed again at the Huddersfield Contemporary Music Festival in November 2010.